As explored previously in in this blog Mekong's Xayaburi Dam, the $3.5bn hydroelectric installation due for completion in 2019 has been hugely controversial due to its alleged disruption of the natural life of our much-loved 4300km river. Pandaw's 14-night The Mekong: From Laos to China expedition passes through Xayaburi's lock en route to and from Yunnan and we monitor its effects more closely than any other expedition operator. Pandaw passengers are well aware that this is a complex debate and one that is likely to run and run. Concern is focused on the impact of the Mekong dams on the river's rich fisheries and more specifically the connected scourge of "destructive fishing". Unlike the dams themselves, this is a clear-cut evil that – with enough public attention and protest – might actually be stopped. The stakes could hardly be higher. The Mekong has the largest inland fishery in the world. 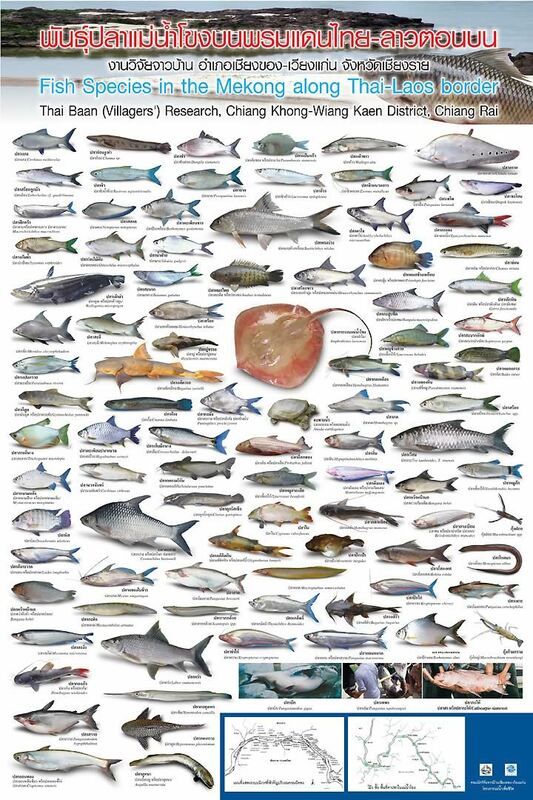 It features 781 fish species, including 165 migratory species, more than 2.1 million tonnes of fish are harvested each year, which represents an astonishing 18% of the world's freshwater fish yield. According to the NGO International Rivers there has been a massive depletion of fish stocks in the Upper Mekong by as much as 50% since 2000. Fewer fish means fewer fishermen and the end of harmonious relationship that has endured for millennia. There has been a devastating increase in the destructive fishing methods used on the Mekong, mainly so-called electrofishing and (less commonly) the use of explosives and even poison. pressure that others must compete with to survive. Pandaw strongly supports action to curtail this vicious cycle and it goes without saying that we insist on the delicious river fish our chefs serve up come from a trusted source traditional producers. What exactly is electrofishing? It's the delivery of electric current at high voltage from an anode to a cathode pole through a body of water, usually via a pulsed direct current (DC). Fish in the surrounding area are affected by "galvanotaxis" [involuntary movement towards the anode] and are either stunned or killed allowing them to be scooped up in a dip net. Not only is electrofishing a cruel way to fish (and quite dangerous for the fishermen), it is also extremely wasteful, as many more fish in the surrounding water are killed than can be "harvested" and are simply left to rot, further damaging a delicate riparian ecosystem already affected by dam-related curtailed silt flows. So, what can be done about it? Although set up to forge agreement on such issues the multinational Mekong River Commission, financed by international donors has no enforcement powers and is not taken seriously by environmentalists who see it as a bloated bureaucratic talking shop. 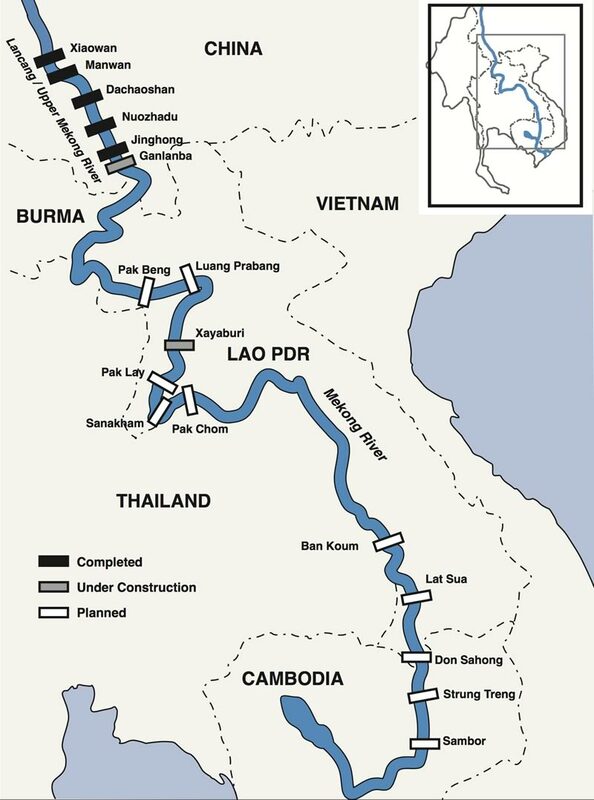 Indeed the MRC admits it is not capable of enforcing fish-preservation measures which it sees as a "totally a national issue", though it does "promote pilot projects on trans-boundary fisheries management in the Lower Mekong Basin… to identify key transboundary fisheries management issues and… formulate transboundary fisheries management Action Plans." Unsurprisingly, this sort of talk has little real impact. Pianporn Deetes, Thailand and Burma campaign director for International Rivers has been encountering the problems facing the Mekong River's fisheries and vital ecosystem for 15 years: "I've never seen any national government recognise the threats facing the Mekong. It seems that natural resource management is not an issue for discussion. My hope is that one day soon, governments will face up to the damage caused and try to solve this problem". Pianporn, a proud "daughter of the Mekong" from Chiang Rai, has been campaigning against the loss of Mekong fisheries since 2002. She thinks that the solution has to come from pressure from the end consumer, via the stigmatisation of illegal fisheries. She also concedes that this will be hard to achieve, as unlike prosperous westerners, river-dependent communities in Southeast Asia are often hard-pressed and do not have the luxury of boycotting suppliers, even if such a thing could be organised. In the meantime, she takes heart from the fact that more and more people are becoming aware of the problem of destructive fishing, which she links directly to the dam construction programme, and she urges Pandaw passengers to spread the word. While Illegal fishing can be found in many areas, local communities are taking steps to protect their fishery resources through community-run fish sanctuaries which protect particular spawning grounds to increase fish stocks. "You didn't really see illegal fishing until the past decade, as before that, if people want to catch fish by conventional methods, it wasn't that difficult. Fishermen had ancestral knowledge of the ecosystem of the river and migratory patterns of the fish. But with the decreasing fish stock this has changed." "The sense of attachment and ownership of the Mekong that people have had for centuries is at risk of slowly disappearing. It's a tragedy as this river is important spiritually as well as materially for so many people." No fewer than sixty million people live in the lower Mekong Basin. Many of their livelihoods and cultures are intimately connected with the river's natural cycles. Mekong country governments (China, Burma, Thailand, Laos, Cambodia, Vietnam) are proving incapable of uniting against electrofishing and other environmental abuses, though their actions have created the conditions for this Frankenstein fishing practice to flourish. It is time they took steps to prevent this side-effect of their development programmes. If you would like to learn more, or support International Rivers' work on behalf of the Mekong communities, flora and fauna, you can find out more at www.internationalrivers.org.